He is Theo Jorna, the organizer of the E-Bike Challenge bike fair of sorts on Saturday and Sunday in Minneapolis. 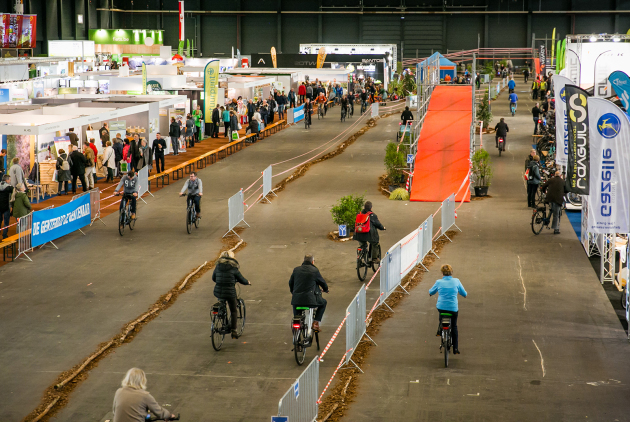 Aaron Hautala, a spokesman for the event and a Minnesota cycling advocate, said this weekend's happenings at the convention center mirror Jorna’s productions in the Netherlands. With the E-Bike Challenge, “for the first time Europe came here,” Hautala said. Jorna is the chief executive of Hicle, a company known for putting on popular biking and hiking fairs. Jorna has spent time in Minnesota admiring the mountain biking networks in Duluth, the trail system at Cuyuna Country State Recreation Area (which Hautala helped champion and build as head of the Cuyuna Lakes Mountain Bike Crew) in Crosby, Minn., and the cycling ethic in the Twin Cities. The public can try a variety of e-bikes at the convention center. Plus, there are presentations about the bikes’ use and evolution. Details are online at ebikechallenge.com.